At the Cherry Creek Arts Festival earlier this month, a small child asked me “what is your favorite snow globe here today?” And the surprising answer was: Attraction. But Attraction had the sweetest, most perfect sense of longing, of the undeniable pull in a new direction. The curving copper wire reminds me of tall grass and winds on the Kansas prairie, bending everything towards one point. 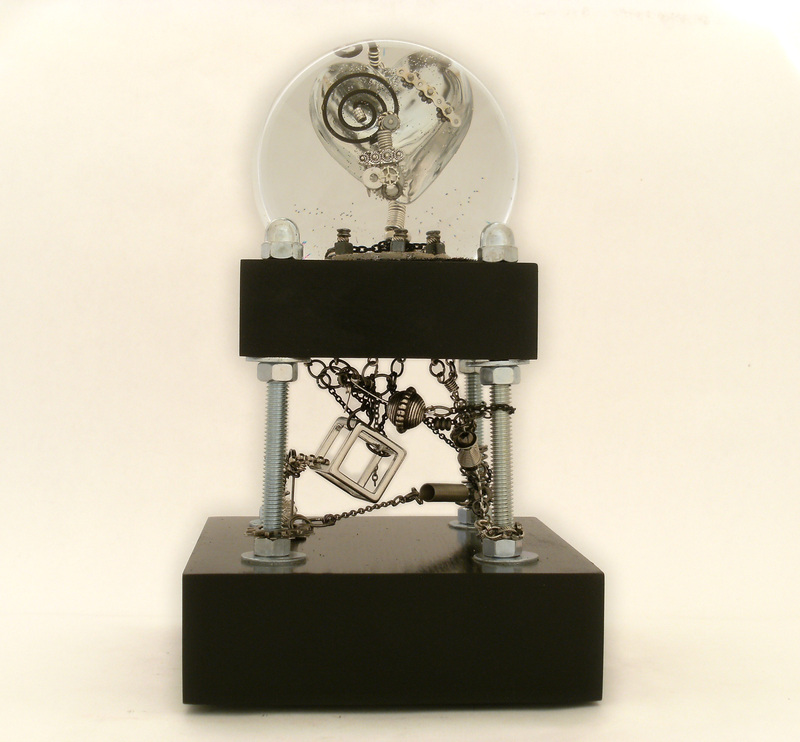 Steampunk artist featured in new book. For the full story in Westword, you can also check out this link. 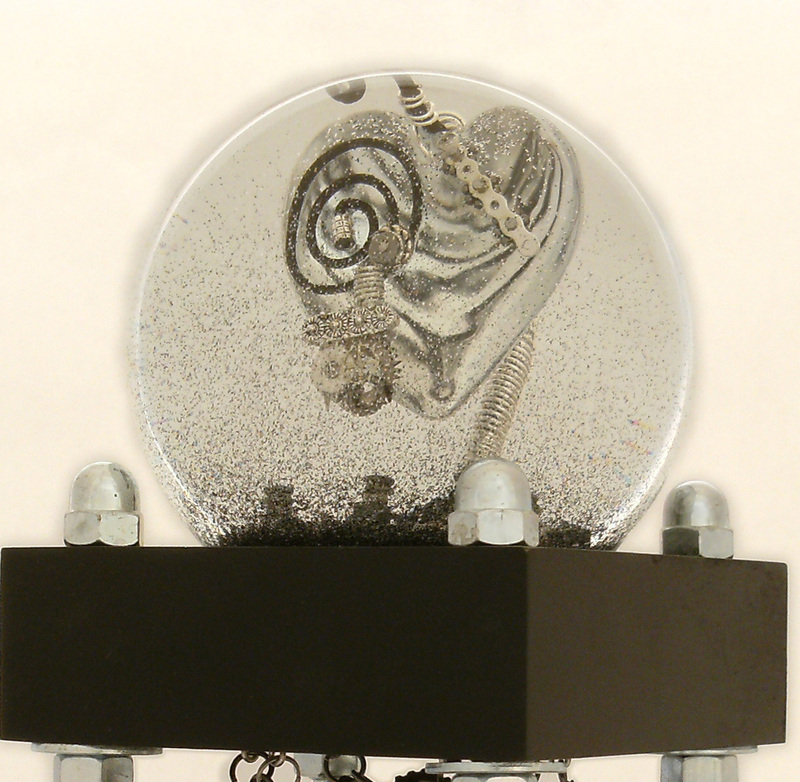 The tricky part of a double, open snow globe base isn’t making it, it is designing the open part so it can be touched. 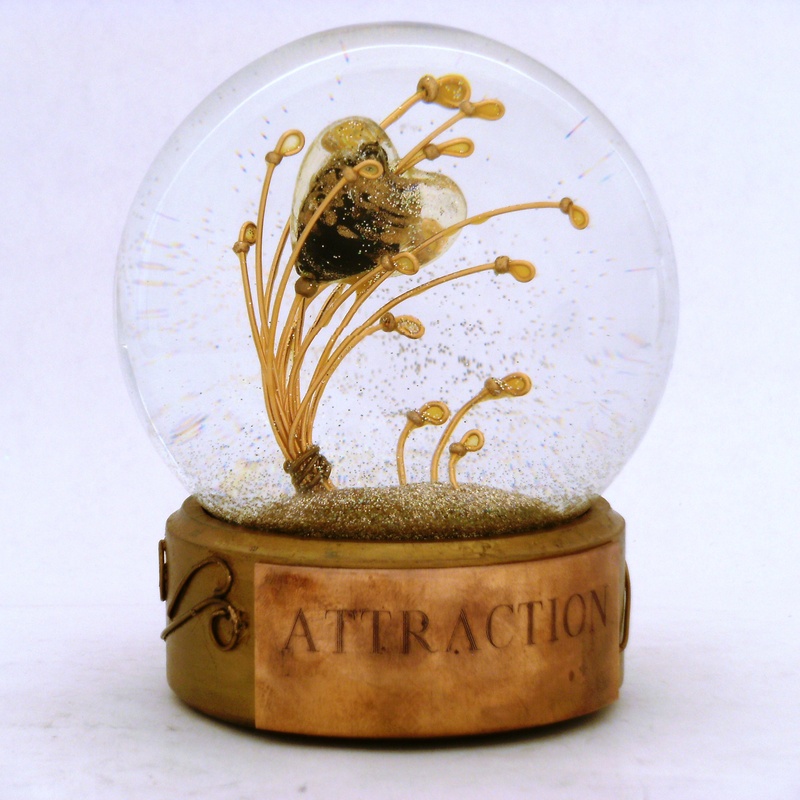 Because we have to believe that all snow globe are made to be picked up, touched and shaken. 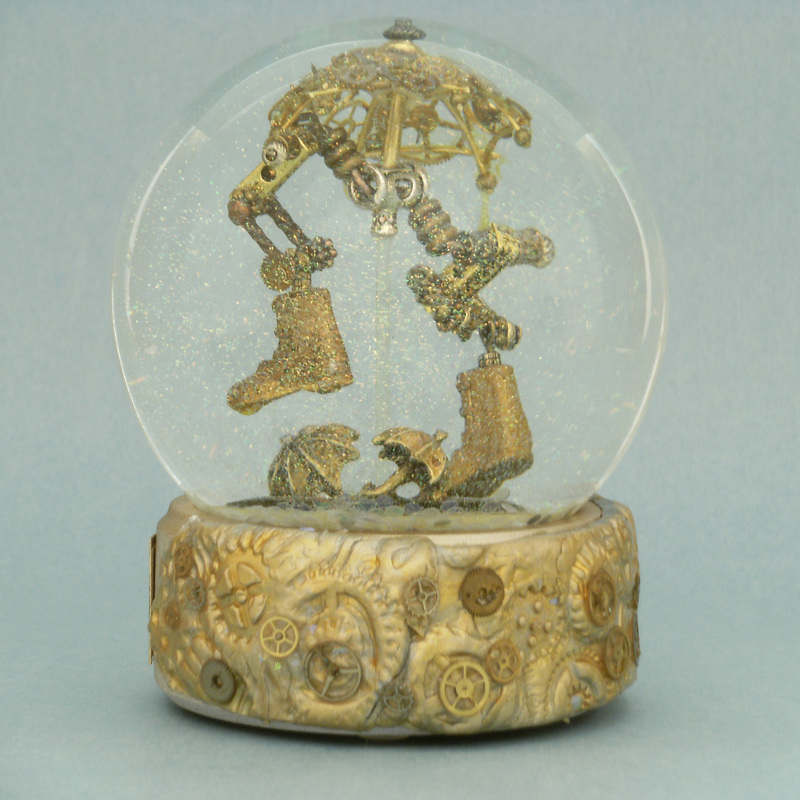 Unlike the interiors in snow globes, which are cradled by the surrounding liquid, that the open part of a double-decker snow globe will be touchable. 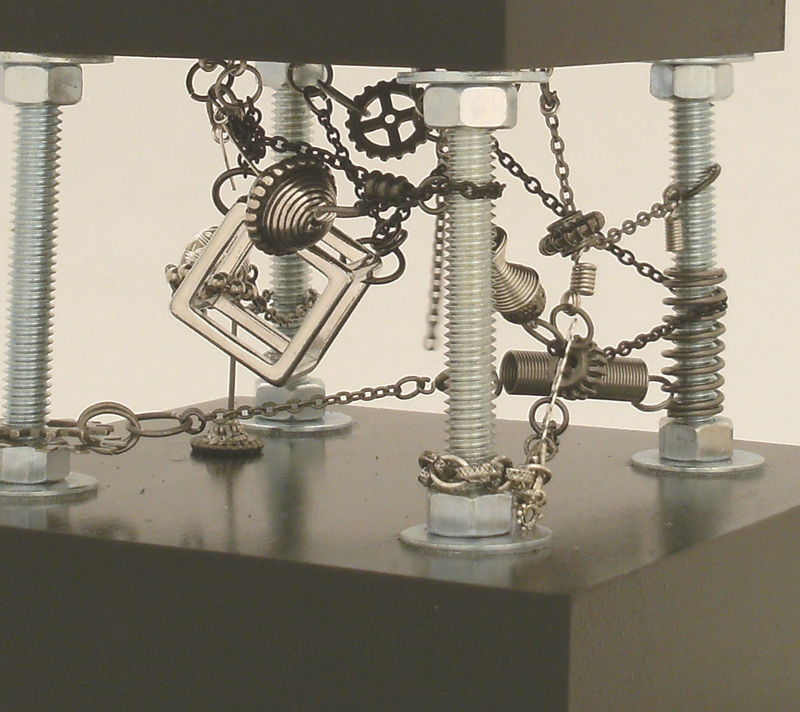 Sure, folks are fairly careful with “art” but it’s out there in the elements and needs to be secure enough to withstand a poke, a prod, and a wiggle when the entire piece is upended and shaken. 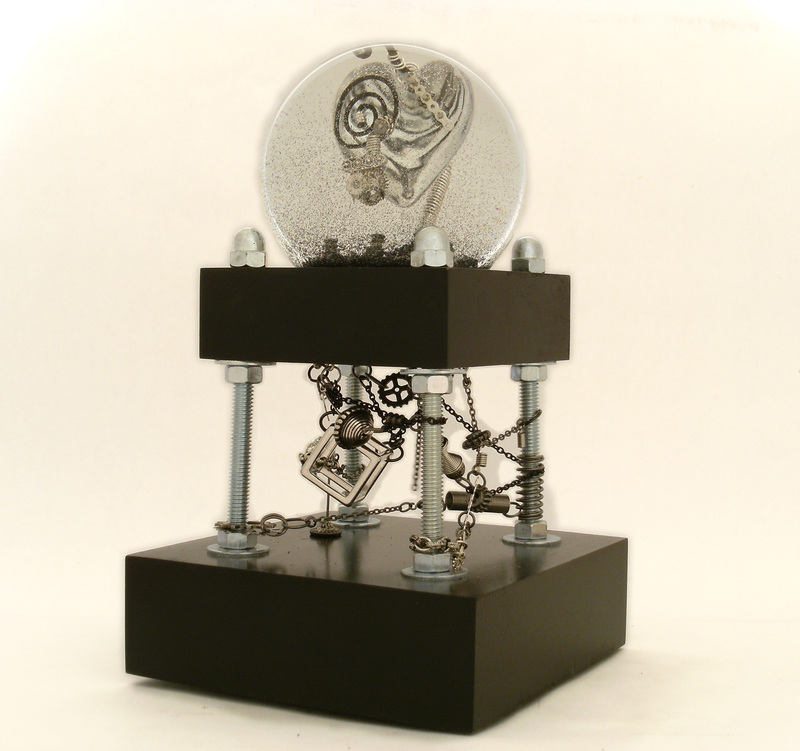 “It’s Complicated” includes a black and silver glass heart with a few mechanical parts above, bathed in silver and black metallic glitter, with a push-me, pull-me sculpture on chain and springs below. Sometimes the love we show is “oh so pretty!” and the complicated feelings are below the surface. But in this case, you can see it all laid bare. 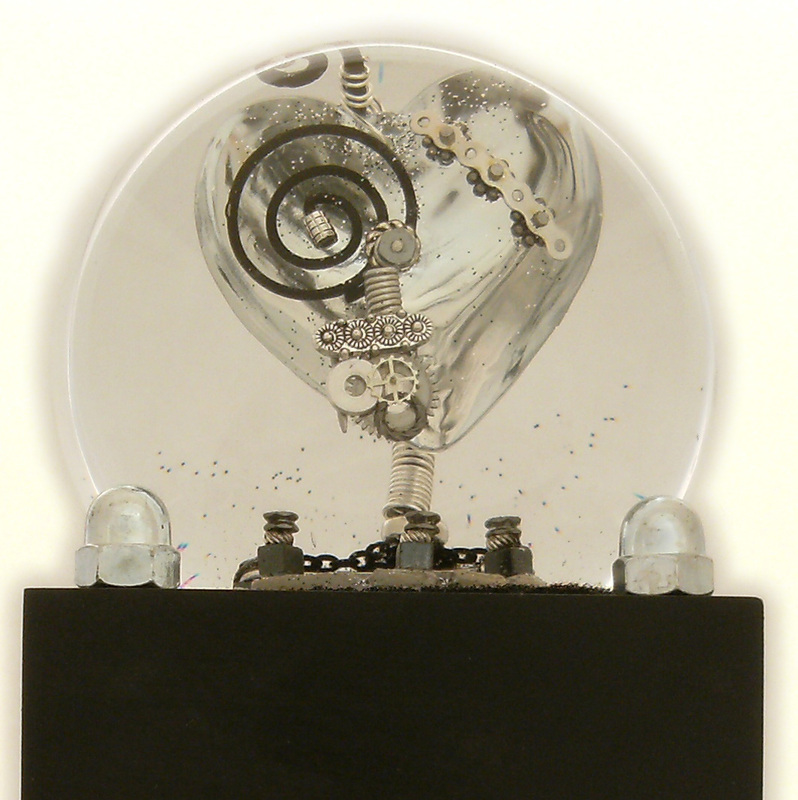 “It’s Complicated” will be shown at the Cherry Creek Arts Festival, July 5-6-7 in Denver, Colorado. Stop by our booth and give it a shake.